The BJP has alleged that a number of its workers and those of its ideological mentor Rashtriya Swayamsevak Sangh, have been murdered in the run-up the elections, which will be held in April-May. BJP leader KS Eshwarappa has said Muslims who are with the Congress "are killers". Bengaluru: In the backdrop of the alleged political violence in Karnataka, where assembly elections will be held later this year, a senior BJP leader has triggered controversy. Party leader KS Eshwarappa has said Muslims who are with the Congress "are killers" while those linked with his party are "good Muslims" -- a remark that has been rubbished by Chief Minister Siddaramaiah. 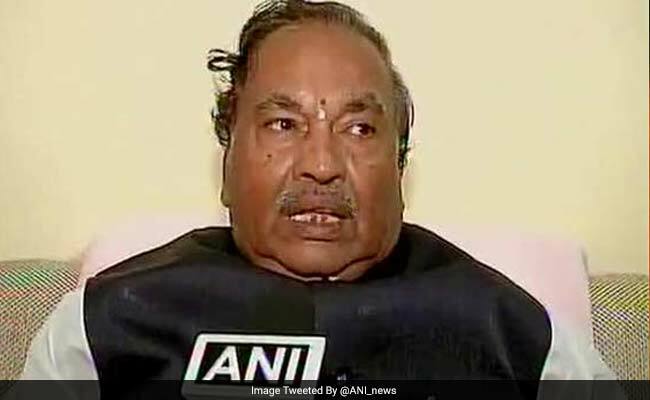 "Muslims who killed 22 RSS and BJP activists are with the Congress and those who are good Muslims are with the BJP," Mr Eshwarappa told reporters at Tumkuru on Monday. The 69-year-old was the Deputy Chief Minister of Karnataka in 2012. The BJP government, which came to power in 2008, was bogged down by repeated corruption allegations and its first Chief Minister, BS Yeddyurappa, had to step down. In a rare gesture, the party, which is trying to recapture power in Karnataka, has named Mr Yeddyurappa as its Chief Ministerial candidate ahead of the elections. "He talks nonsense," said Mr Siddaramaiah, referring to the statement by Mr Eshwarappa. His party, which is hoping to win a second stint in power, has already accused the BJP of stirring up communal feelings in the state. Congress lawmaker Rizwan Arshad said, "The BJP used to certify nationalism. Now they have moved a step forward by certifying the good and the bad Muslims. They are, in fact, trying to divert attention from the core issues". The BJP has been accusing the Congress of encouraging the Popular Front of India and the Social Democratic Party of India of targeting activists of the Sangh Parivar in Karnataka. "Elements of extremism are there in the BJP and the RSS. Whoever violates rules will be dealt with the law of the land," Mr Siddaramaiah said when asked if his government would ban the Muslim organisations like the Popular Front of India and its political arm, the Social Democratic Party of India. 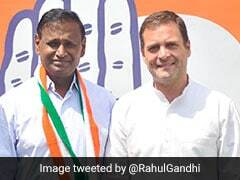 State Congress leader Dinesh Gundu Rao had added to the controversy, saying, "Saffron party ran the risk of becoming a terrorist organisation", pushing the BJP to file a complaint with the police. Last month, Union minister Anant Kumar Hegde, who is one of the key BJP leaders from the state, triggered controversy by saying the BJP will "soon change the Constitution" which mentions the word "secular". The party distanced itself from the comment, saying "was not on the same page with Hedge". The Congress had asked for Mr Hegde's resignation. If a person doesn't believe in the Constitution, "he has no right" to be a member of parliament, senior Congress leader Ghulam Nabi Azad had said.